>> TFP 075: Q&A Edition — Anticipation, Fitness, Consistency, Technique and More! 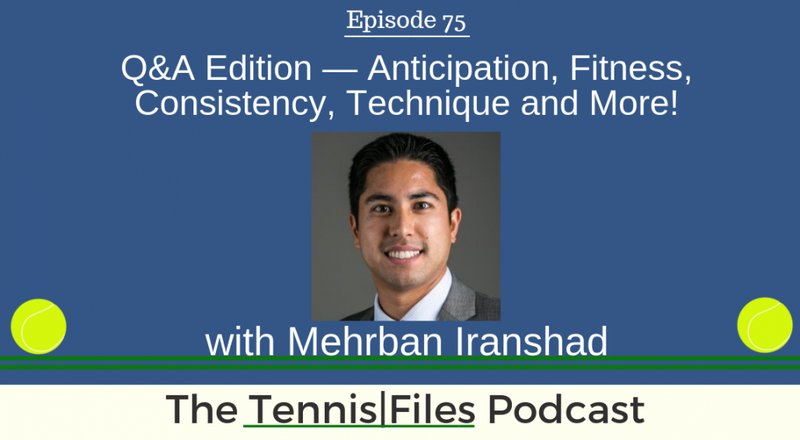 On Episode 75 of The Tennis Files Podcast, I answer questions that I've received from tennis players like you about anticipation, fitness, consistency, technique, and more! I routinely receive emails asking questions about all things tennis, and I picked out seven of them to answer on the podcast today. I really enjoy receiving emails from my subscribers and do my best to answer them all (even if it takes a little while!). The questions and answers today are very likely to help a part of your game, and I appreciate every single one of you who has contacted me with your fantastic questions.